Clarified cider, fermented for over 6 months, resulting in a total transformation of sugar into alcohol. Simple distillation in a column still. In 400L oak barrels that have no more tannins. 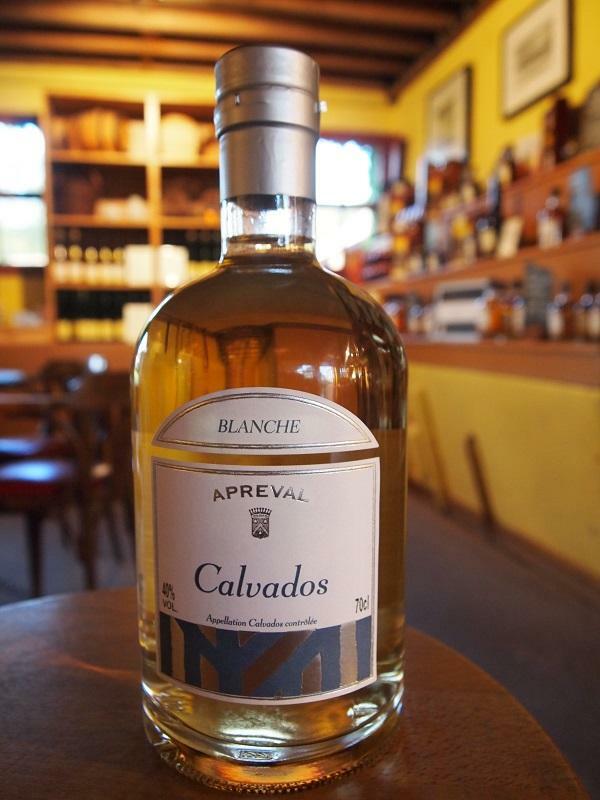 Cuvée of AOC Calvados that spent at least 2 to 3 years in barrels. Scent: Very fruity aroma of fresh apples with hints of liquorice. Slight underlying smoky note. Taste: Sharp and mellow taste with green apple aromas which gives a refreshing sensation and leads to spicy and sour notes. In a cocktail: This Calvados is an excellent base for many cocktails, let your imagination guide you or ask for our cocktail ideas. As an aperitif: Pure, served ice cold or on crushed ice. During a meal: Pure, served ice cold on smoked or marinated fish (herring, salmon, eel). On crushed ice with chocolate puddings. As a “trou normand” (on apple sorbet between two dishes). For cooking: For flaming or in sorbets and pastries. After dinner: Pure or in a cup of coffee.